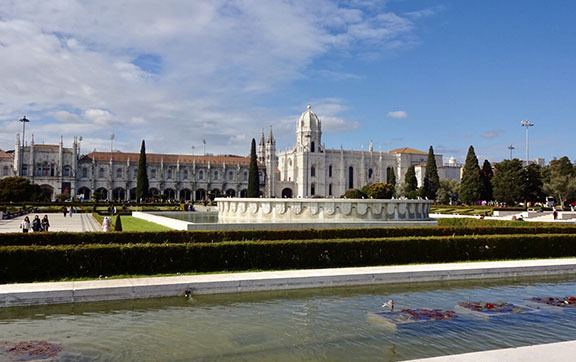 The medieval castles, cobblestone villages, enchanting cities, and beautiful beaches of Portugal offer visitors an all-round experience where incredible history and stunning scenery are just a prelude to an extraordinary sojourn. 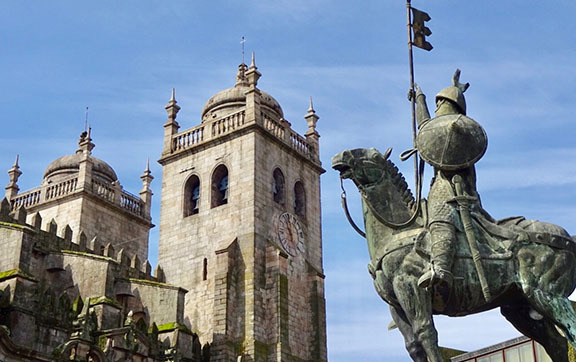 One of the oldest nations in Europe, Portugal shares its past with the rest of the Iberian Peninsula where Celts, Romans, Visigoths, Moors, and Christians have all imprinted on the country, evident in its palaces, clifftop castles, and meticulously conserved medieval town centres. You can find the Portuguese table spread with simple, delicious dishes that flaunts the yield of its bountiful coastline and fertile countryside; from the pastel de nata (custard tart) of Belém, to the rich ports of the Douro Valley, your palate will want for nothing more. Add to this plenty of magnificent scenery that’s as varied as its history and you begin to understand why Portugal has enjoyed a surge in overseas visitors of late with just over 12.7 million foreigners discovering its wonders in 2017 (up 12 per cent from the previous year). Road tripping from its bordering neighbour Spain, our first stop was the delightful Porto; a seaside town with so much charm and character. 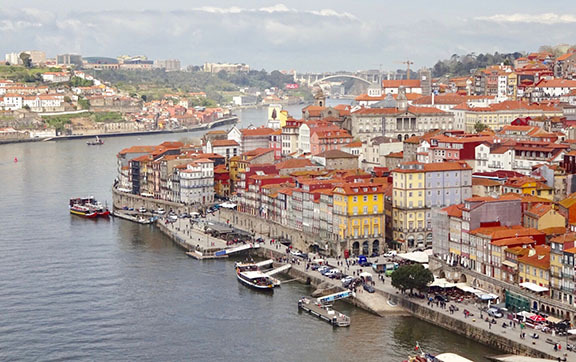 Split in two by the Douro River, Porto has one foot in the past reflected in the waning elegance of the historic city centre, and one in the present seen in the chic seaside suburbs that’s recently undergone a sort of resurgence with its flourishing community of edgy bars, restaurants and cafes. We stayed at Pestana Vintage Porto in the Ribeira historic district. Enjoying prime waterfront location meant we were constantly amidst a hive of activity day and night. This hotel is featured on many postcards being a UNESCO World Heritage Site. The ambience throughout is at once luxurious vintage contemporary with touches of romance. The Rib Beef & Wine restaurant is well known for its specialised beef cuts whilst the bar is revered for its creative cocktails. 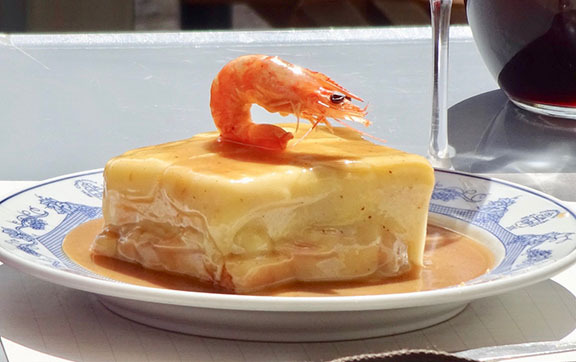 When in Porto, tucking into a traditional Portuguese sandwich called francesinha (meaning ‘little Frenchie’ or simply just ‘Frenchie’) is an absolute must. This is a sandwich to rule all sandwiches; made with bread, ham, fresh sausage like chipolata, roasted meat, and then covered with melted cheese and floating in hot, thick gravy – it was an absolute dream. 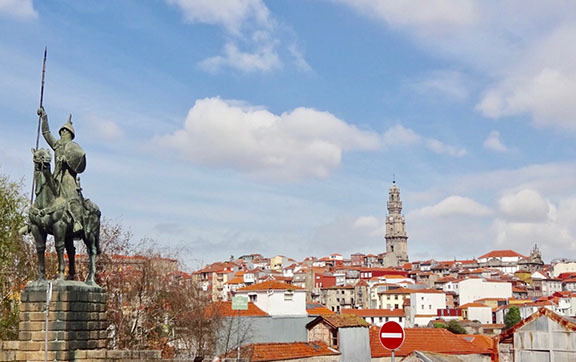 Porto’s local way of life is captivating; from the sounds of clinking port glasses, to the friendly people strolling past innovative street art and architecture to brunch at cafes, dine at gourmet steakhouses, and unwind at hallowed port cellars. You can behold the city’s colourful buildings in one sweeping view from a sky-high miradouro (lookout) or trendy roof-top bar. 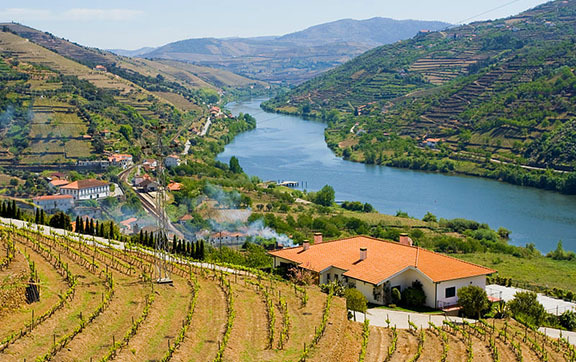 Water, port, picture-postcard vistas, fantastic food and wine, more port – it’s a winning combination. 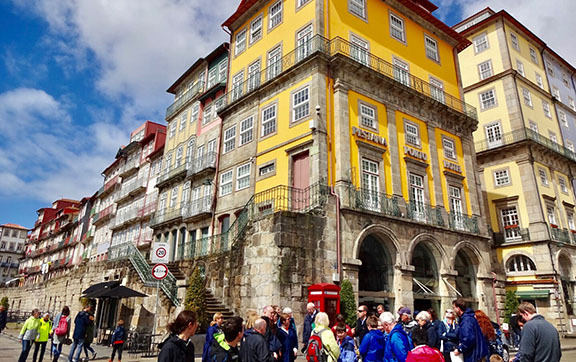 From Porto, we continued along the coast of Portugal to Lisbon – a cinematic collection of cobbled laneways, ancient vestiges, brightly-coloured buildings, domed churches, and the longest bridge in Europe – the Vasco de Gama Bridge. 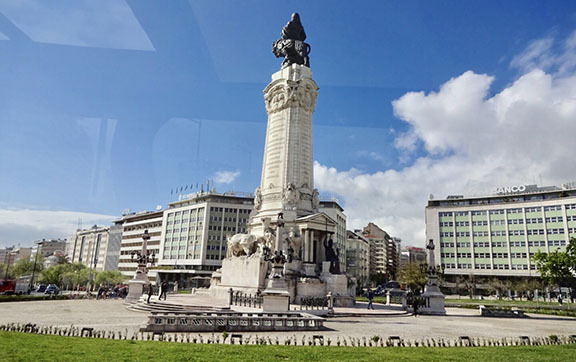 Lisbon’s trademark seven hills that overlook the Rio Tejo offers hours of whiling your day away over coffee at one of the many miradouros to fill your camera with countless unfiltered panoramic shots. Here, we booked into the Hotel Avenida Palace. It’s a very centrally located property that maintains its historical heritage through its neoclassical architecture and elegant décor. Despite it being in a central locale, it upholds an intimate atmosphere. Lisbon has a tremendous night life. Cais do Sodré is home to the city’s best (and rowdiest) nightclubs and bars or find a trendy megaclub along the glittering shoreline that stretches from Santos to Santa Apolónia. 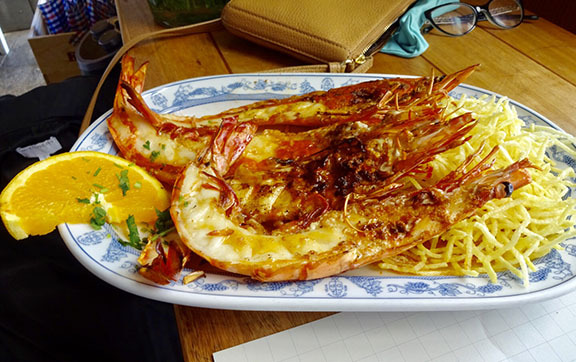 For lovers of seafood, Lisbon’s superior seaside location means there’s an abundance of fresh tuna, monkfish, clams, and snails which are incorporated into the tantalising dishes found in Michelin-starred restaurants, food markets, or tascas (taverns). 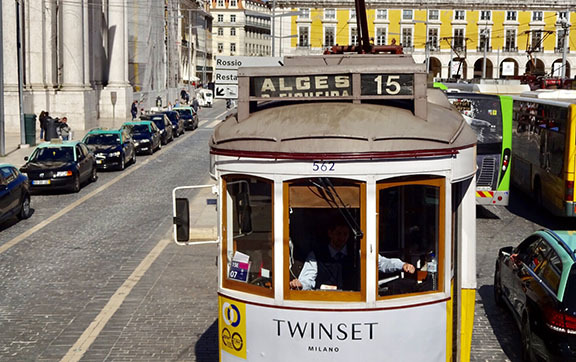 Explore this sun-kissed city by jumping on one of the century-old wooden trams and iron funiculars or simply wander through the Baixa district where you’ll find herbalists, haberdashers, and tailors. 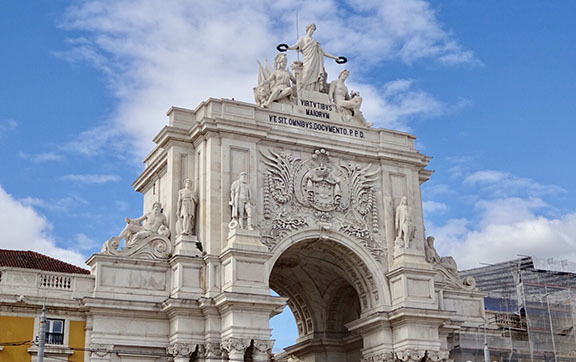 Lisbon is a charismatic city where timeworn manners and strong traditions still thrive. 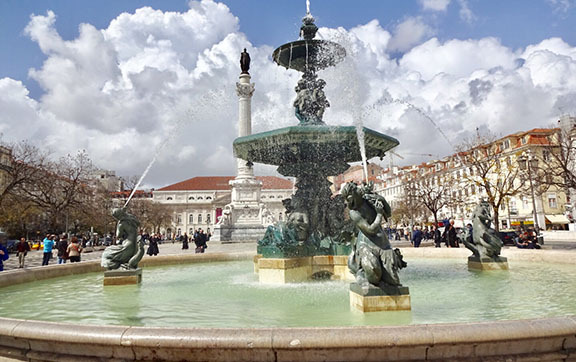 The highlight of our trip to Portugal however, was Belém – just a short taxi ride (or an hour on the City Hop On Hop Off bus) down the coastline. 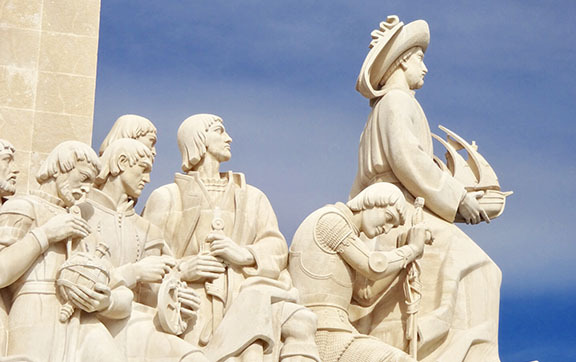 Belém has incredible historic landmarks that recalls Portugal’s seafaring past. 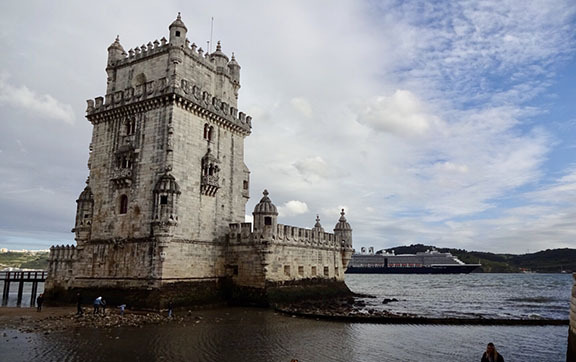 Of note were the grandiose 16th century Tower of Belém and magnificent sail-shaped Discoveries Monument. 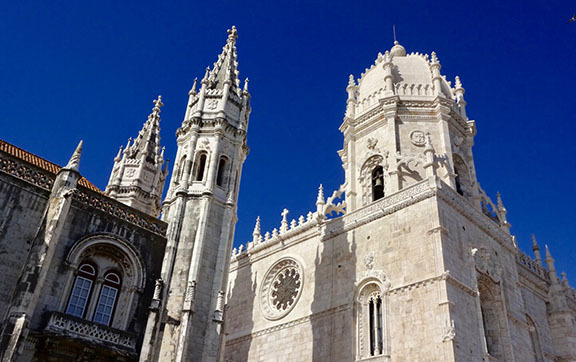 A visit to the UNESCO listed Mosteiro dos Jerónimos with its tree-trunk like columns, ornate wooden carvings, and fantastical gargoyles is essential. We also discovered quite by accident (when we saw every man and his dog carrying a bag from a place with a queue a mile long) the shop that was the original creator of Portuguese tarts, Pastéis de Belém. It turns out the monks first created these heavenly pastries to raise much needed funds. 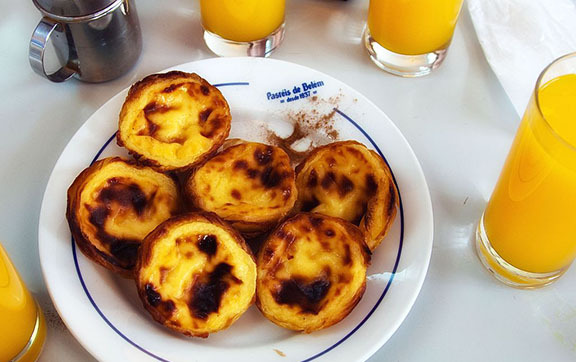 They later sold the recipe to Antiga Confeitaria de Belém and the patisserie has kept people hooked on the custard cream-filled nests since 1837. There is nothing quite like the taste of a warm, gooey, traditional Portuguese tart – visit Belém for these if for nothing else! Just north of Lisbon is the seaside resort of Nazaré famous for the largest surf in the world. Swells here can get to a shocking 30 metres at certain times of the year thanks to the Nazaré Canyon – the largest underwater canyon in Europe that’s responsible for creating these giant waves. But aside from its lively surfing attraction, Nazaré is otherwise characterised by white sandy beaches, mild climate, grand brightly-coloured awnings, and still retains its ancient fishing traditions. You can still see fishmongers wearing the traditional seven skirts and at the ‘Arte Xávega’ (drag nets) spectacle you can catch women scream out as they sell their wares of nets laden with fish straight from the ocean. Explore its narrow streets, enjoy the freshest seafood from excellent restaurants, and enjoy a series of spectacular sunsets over the water from any terrace.